MICKEY TAN CAPTURES MID-AM CROWN IN HK AM OPEN - Sta. Lucia Land Inc.
Hong Kong -- Mickey Tan (in photo, middle) of Team Sta. 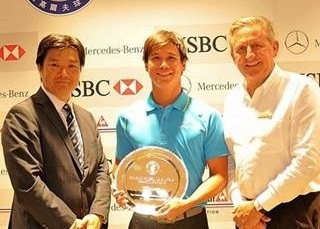 Lucia-Philippines won the Mid-Am division of the Hong Kong Amateur Open.